Private Stock is a premium cigar and tobacco brand from the makers of the luxurious Davidoff brand. The Private Stock cigars are made using Dominican fillers and wrappers, and are characterized by a rich aromatic smoke. Private Stock cigars offer the great value of Davidoff standard for an affordable price – a combination you will rarely find in cigars. 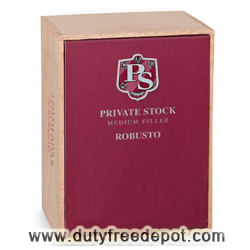 Duty Free Depot is the largest distributor of duty free products – such as Private Stock cigars – for more than a decade. 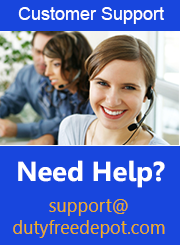 Our policy is to deliver the best products at the lowest costs to all countries in the world. That's right – any order, no matter at what price, will always get Worldwide shipping! Order these great cigars now at the cheapest prices available online at Duty Free Depot. Don't forget that every 3 days we have a new promotion so always click the "Promotion" button at the top of the page to get the best deals online.